Wolverine’s headquarters is situated on the border of Wexford County and Missaukee County, between Cadillac and Lake City. Wolverine has five service centers, one being in Atlanta, Michigan. Three linemen work out of the Atlanta Service Center and respond to system outages and restoration efforts on power lines and substations. Wolverine’s Sumpter Power Plant is located in Belleville, Michigan. Sumpter has four GE Frame 7 EA simple-cycle combustion turbines, each with inlet fogging, and all of which are powered by natural gas. The combined output is approximately 340 megawatts. Wolverine employs a chief plant operator, controls engineer, and three operators at this location. 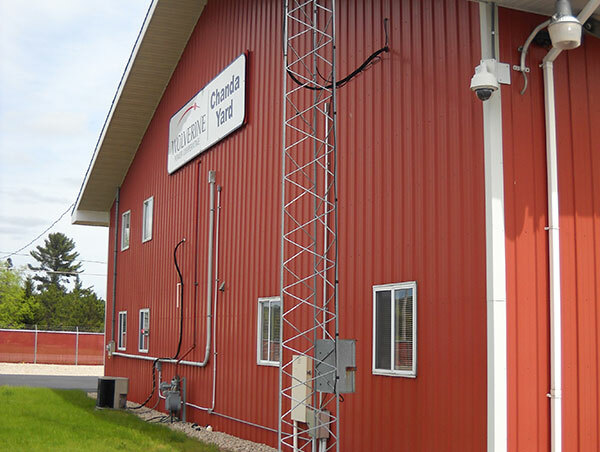 Wolverine’s Chanda Service Center is located just east of Boyne City, Michigan, in Charlevoix County. From this facility, employees respond to routine maintenance work, system outages, system testing, communications, and restoration efforts on power lines and substations. Chanda houses three groups of employees: four linemen, three substation technicians, and three instrument and controls (I&C) technicians, plus a field supervisor and technical service supervisor. 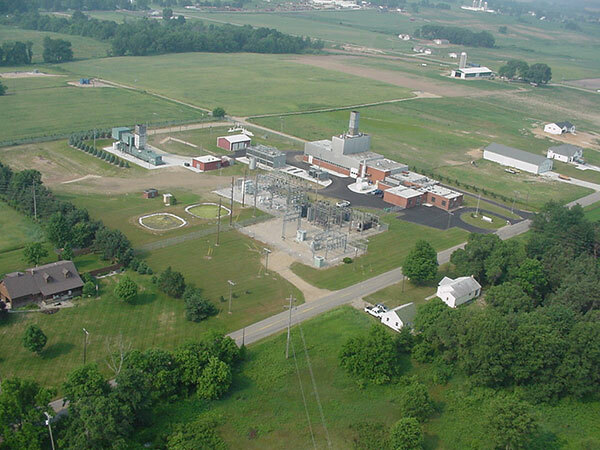 Wolverine’s Burnips Power Plant and Service Center are located in Burnips, Michigan, Allegan County. 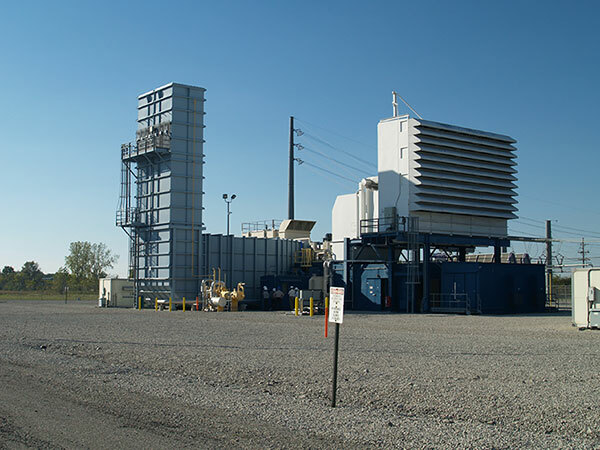 The Burnips Power Plant has two GE Frame 5 combustion turbines on site, one combined-cycle unit and one simple-cycle unit. Both are powered by natural gas, and the combined output is approximately 48 megawatts. Wolverine employs a chief power plant operator and three operators at this location. Burnips Service Center has four linemen and a field supervisor that respond to routine maintenance work, system outages, and restoration efforts on power lines and substations. 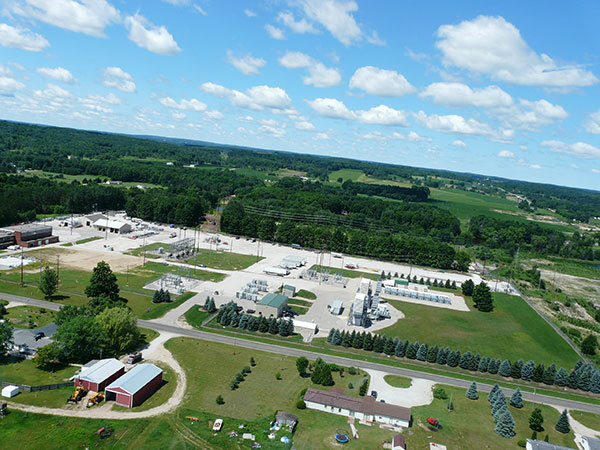 The New Alpine Power Plant is located in Elmira Township, just northwest of Gaylord, Michigan, in Otsego County. Alpine has two GE Frame 7 FA class combustion turbines, both simple-cycle. Powered by natural gas, the total output of both units is approximately 432 megawatts. 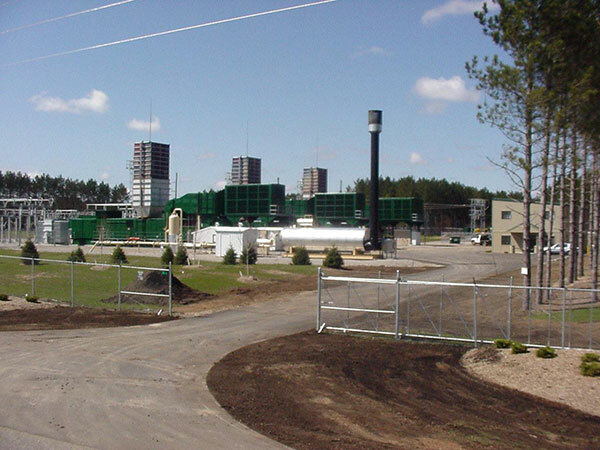 Wolverine’s Gaylord Power Plant is just minutes away from Gaylord, Michigan, in Otsego County. This facility houses three GE Frame 5 simple-cycle combustion turbines, all powered by natural gas. The combined output is approximately 72 megawatts. 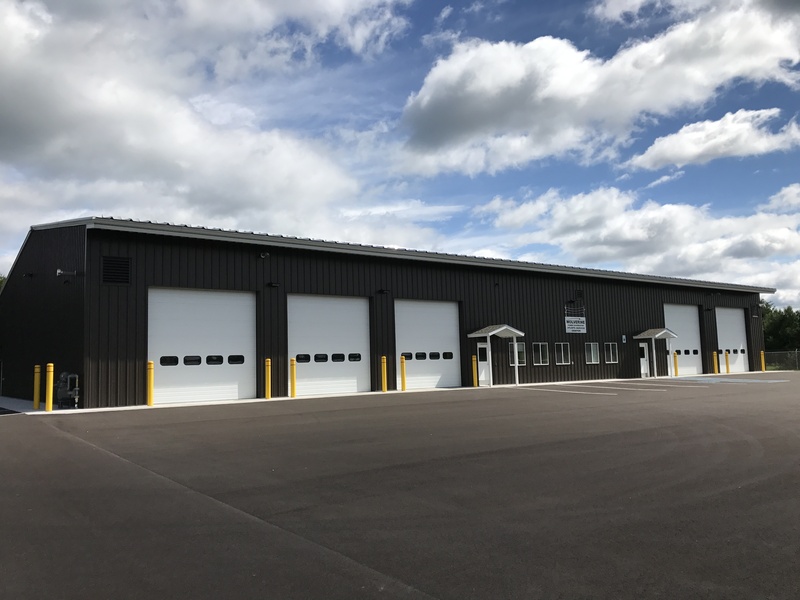 Wolverine’s Grawn Service Center is situated in the small community of Grawn, Michigan, in Grand Traverse County. 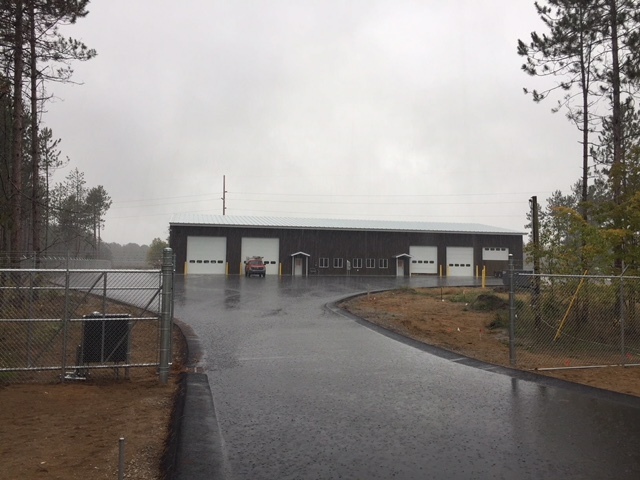 Three linemen work out of this facility and respond to routine maintenance work, system outages, and restoration efforts on power lines and substations. Hersey Power Plant is located in Hersey, Michigan. The power plant has two simple-cycle Rolls Royce RB 211 aero turbines with inlet chilling and ice storage. 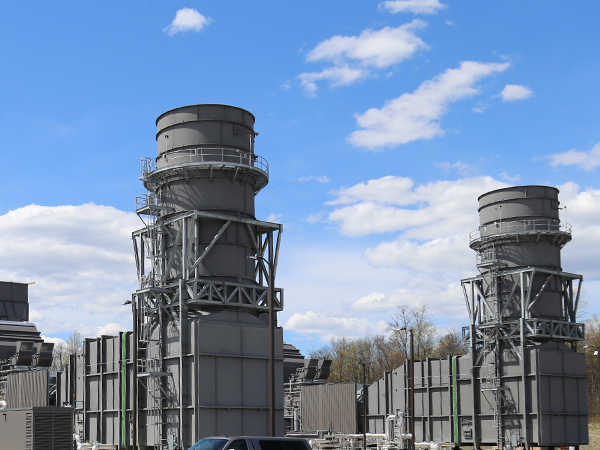 The combined output is approximately 50 megawatts and both units are powered by natural gas. The Reed City Service Center is located in Reed City, Michigan. 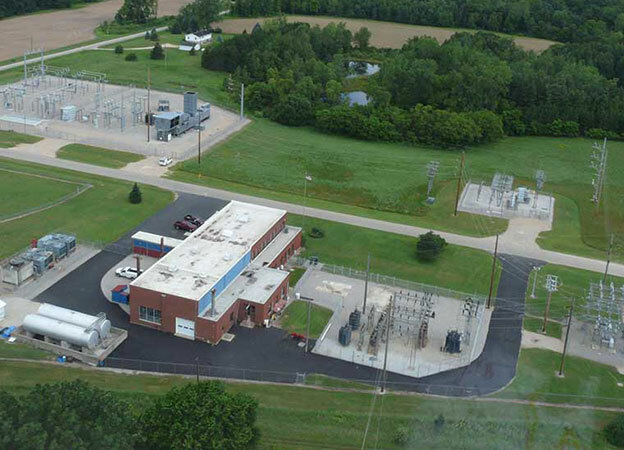 From this facility, employees respond to routine maintenance work, system outages, system testing, communications, and restoration efforts on power lines and substations. 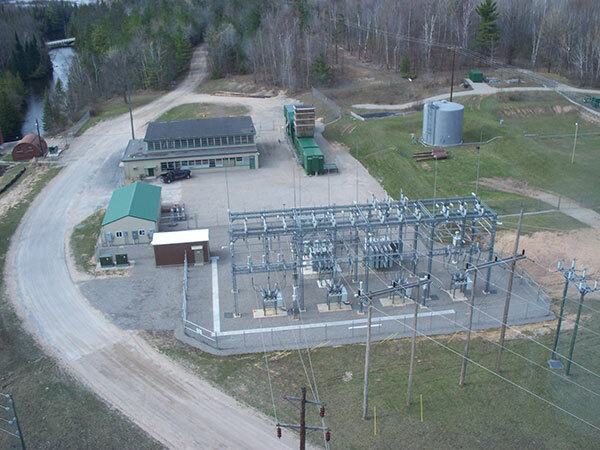 Wolverine’s Tower Power Plant is located in Tower, Michigan, situated right near the border of Cheboygan County and Presque Isle County. Tower has one GE Frame 5 simple-cycle combustion turbine that is powered by natural gas and liquid fuel (diesel fuel). The output of this facility is approximately 24 megawatts. The Vestaburg plant is located in Vestaburg, Michigan, in Montcalm County. This facility has one GE Frame 5 simple-cycle combustion turbine powered by natural gas and liquid fuel (dual fuel). There are also two Worthington VEE 16 diesel generating units. The combined output is approximately 30 megawatts. Wolverine employs a manager of production and two operators at this location.